Good news! We have found a place to lay our heads in ATL! Thank you to everyone for checking on us and helping us out! Bryson braved the very icy roads yesterday in search of a place for us to live. He was successful in finding us a townhouse just a mile away from his office that we can rent for a few months while we look for a house to buy. Praise the Lord! This is a huge weight off our shoulders. 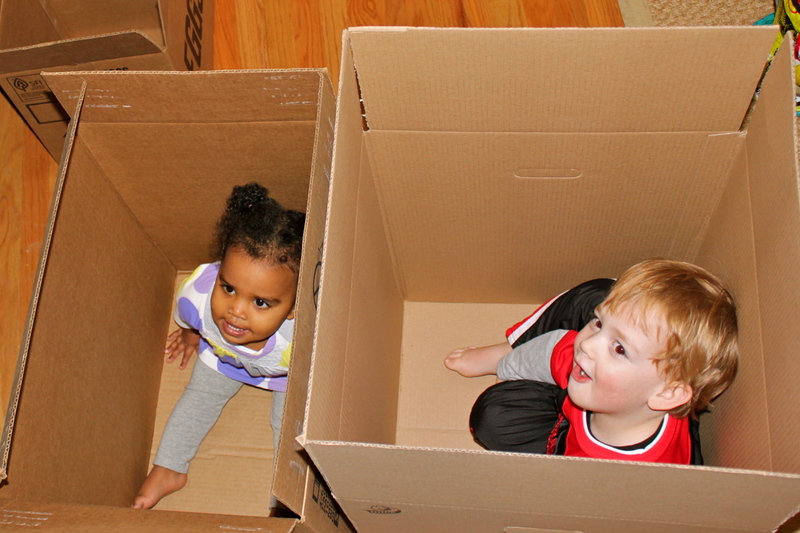 I was confident that something was going to work out, but it’s a little intense to have a house full of boxes and no clue where you are headed next…especially with three little people in tow! 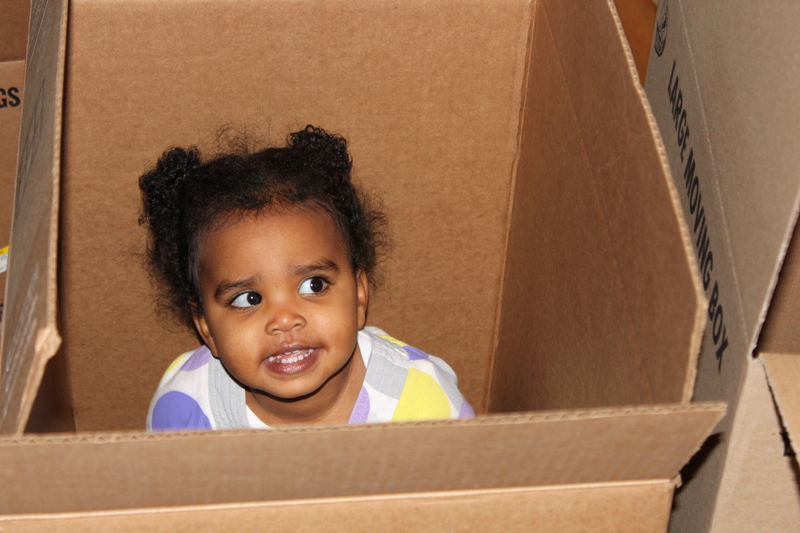 Speaking of boxes, we are in full packing mode around here. I hate to pack. I am very sentimental and it takes me forever to pack a single box. Solution: call in reinforcements…AKA, Bryson’s mom. She is a pro packer and has lived in more houses than I can count. The woman can run circles around me she is so fast at packing! So we make a good team. I pack one box at a time while crying and listening to sad music and meanwhile she packs up the rest of the house! Thanks Mimi and Pop Pop for your help! Packing with kids is nearly impossible. They thought this was a fun game, but it was really a strategic move on my part to keep them confined! Evyn LOVES her baby. She wanted Meyer to come sit in the box with her.